No, I'm not looking to exterminate the human race (a la the reference to the Terminator movies' "SkyNet"). Last Sunday, Oct. 25 my railroad achieved a milestone - I have JMRI up and running. From the beginning my railroad was planned with computer automation in mind. After all, when it reaches a latter stage of completion, I will be operating it mostly by myself. So I always intended for it to be able to run semi-autonomously, while I sat back and watched (possibly with an adult beverage!). JMRI is the software that I have selected to make this happen (although I did investigate Rocrail). I have been collecting bits and pieces of the equipment to make this happen for the last several years. I bought the Lenz serial computer interface when I purchased my DCC system. As I resolved to run the railroad from a laptop, and laptops do not have serial ports, I obtained a USB-to-serial converter. Along the way I acquired a wireless router that could be dedicated to the railroad . A cast-off smart phone has also found it's way into the basement. Over the last two years I have been buying some inexpensive Azpen Android tablets from MicroCenter whenever they were on sale. I first tried to install JMRI on a used laptop that was choking on Windows Vista and which I had re-imaged to run Linux Mint. I was unable to get JMRI running on Linux (there's something about Linux that escapes me). The project was stalled for the last year and more. During that time I realized that I wanted to have a touch screen interface. But buying a touch screen laptop would deplete the resources needed for other things on the layout. I then hit on the idea of a Windows tablet. The WinBook TW802 from MicroCenter was on sale for $99. Done! With all of the parts available I set about to get everything hooked up. JMRI installed and ran easily on the WinBook tablet under Windows 8.1. About 3 hours over two days was spent tweaking settings to get JMRI to talk to the Lenz LI100F serial interface via the USB to serial adapter and connect to the command station. Because the WinBook has an full size USB port, I was able to load the Lenz configuration program (which only runs on Windows) from an external CD drive. I also used the tablet to configure the router (the network is not labeled "SkyNet", but "M&K JCT" after the railroad). Windows on a tablet does have its advantages for running real application programs. With the Windows tablet talking to the command station, I engaged the throttle in DecoderPro. Nothing happened. A little more tweaking and finally a locomotive moved. Success! Next, the WinBook was connected to the network and Engine Driver was started on one of the Android tablets. Again, nothing happened. This time I had to figure out that the WiFi Throttle option had to be enabled in JMRI. Back to the Android tablet and his time the loco responded. The routine was repeated with the six year old smart phone running Engine Driver. I had downloaded an app called MRclock onto the Android tablets. 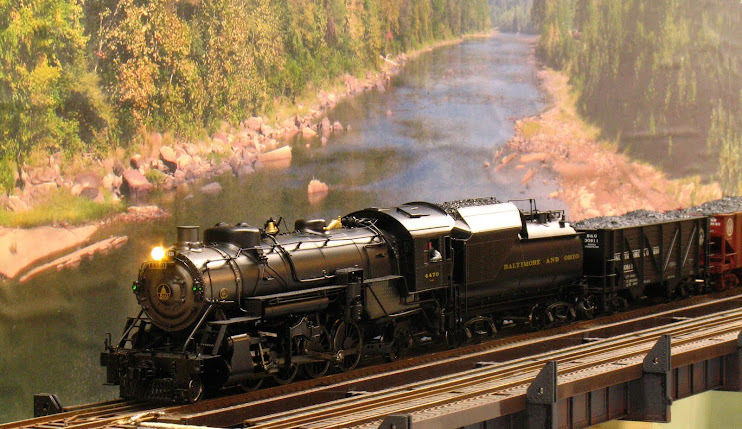 MRclock turns the tablet into a fast clock for model railroad use. One tablet is set up as a time server on the network and the other(s) are set up as clients. So I had JMRI and MRclock running on the same network, at the same time and everything was smooth and responsive. I have yet to test the web server function of JMRI. I'm also looking forward to implementing control panels via PanelPro so that I do not have to build wired panels. I also have to test the functionality of DecoderPro and SoundPro. But if I get no more functionality then I have today, it will be a qualified success. That all of this is running on tablets, none of which cost more than $100, is all the more impressive. Right now the WinBook tablet is hooked up to a keyboard and mouse, as well as the Lenz interface, all via a USB hub.